Miami is the perfect place for people to trade in their winter weather for the sun and sandy beaches and stay in the best Airbnbs Miami has to offer. While Miami Beach is known for its’ gorgeous beaches, palm trees, and clear blue, warm water, many also visit Miami as a hub of art and architecture. In fact, Miami is regarded even internationally in the art world as one of the most attractive place to be in winter. 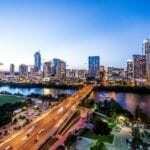 This is because Art Basel, a privately managed international art fair, originally staged in Switzerland, established its second permanent location in 2002 in Miami Beach, Florida! The fair offers emerging artists selling their work to collectors and curators and art lovers, at some of Miami’s most well-renowned galleries and other local institutions. The directors of Art Basel chose to have the fair in Miami in the winter, as it is the perfect time of year to enjoy the best temperatures on South Beach. Visitors can enjoy their leisure vacation and spend a week reveling in contemporary and modern works of art from thousands of artists, both international and local. 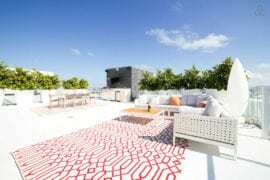 Here, we countdown a list of 8 stylish Miami Airbnb perfect for your Art Basel trip! 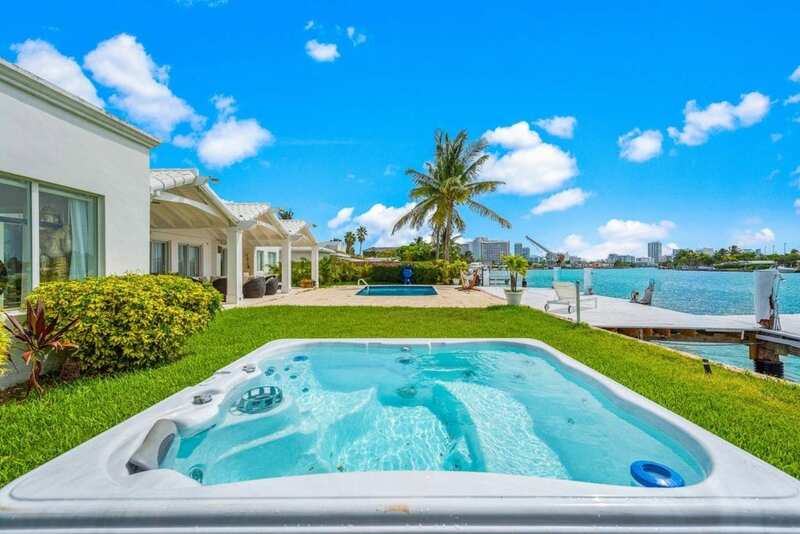 This entire Miami waterfront villa is all yours for just $1,250/night. 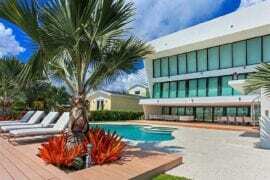 Boasting 5 bedrooms, 5.5 baths, this modern home sits right on the water. 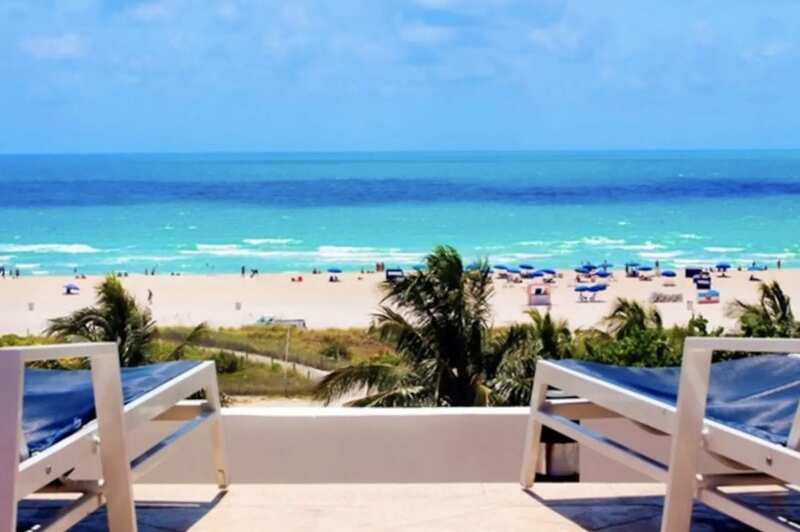 Designed to meet the needs of couples or families, this Airbnb Miami Beachhouse is the perfect getaway for any group that likes to feel right at home. Some of the features include Sonos speaker system throughout the house, a jacuzzi for cooler nights, and a gorgeous pool overlooking the water. You can fire up the grill or access the water for water sports or a boating excursion. 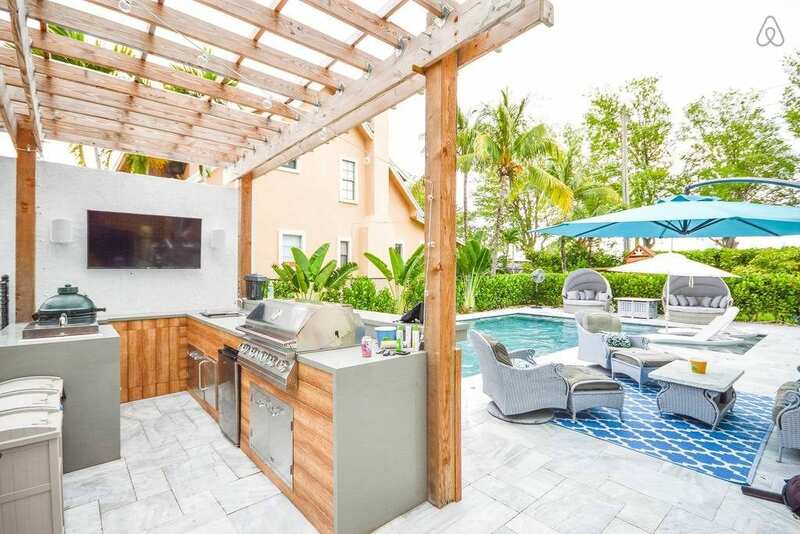 Gather the whole crew and rent this entire villa in the heart of Miami! $3k a night is a lot, but this is the stylish Airbnb perfect for your Art Basel trip your bachelorette party, or just the vacation of your dreams! This villa sleeps 16+ guests, with 7 bedrooms and 6.5 baths. Sparking clean and spectacular, this Mediterranean style home features 23 high ceilings, wood and marble floors throughout the entire villa, expansive rooms, terraces, and of course the pool and patio area for your party! You’ll have this entire Miami guesthouse to yourself to relax and unwind! Located in Miami’s Historic Morningside District, along the MIMO/Upper East Side District, this location is ideal. This garden level, detached suite is set amongst lush vegetation. A Designer’s home, you’ll love the reclaimed wood, interior wood flooring and paneling, custom cabinetry and furniture and recessed lighting. 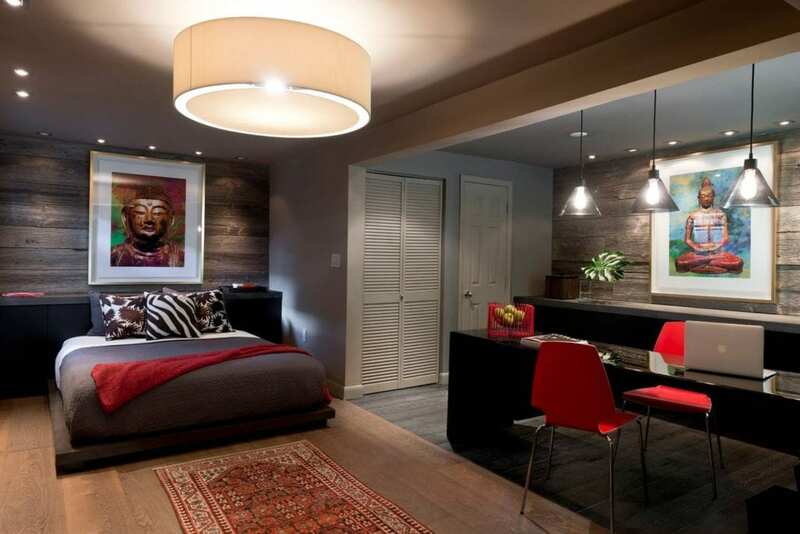 The decor with Asian overtones and sophisticated color palette make up for a luxurious and cozy retreat. Enjoy a cup of espresso in this zen space or under the mango tree, before heading to the beach, enjoying a shopping experience or visiting galleries. Walk the property and pick an avocado, guava or bananas for an afternoon treat. Or take a walk to Morningside Park and stroll along the bay, play a game of tennis with a friend, or rent a kayak for an adventure! 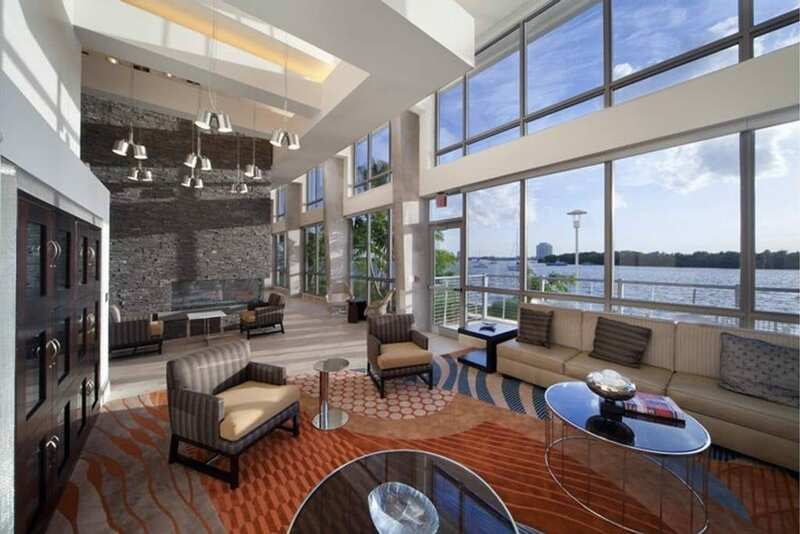 Visit Biscayne Bay, boasting gorgeous views of the water. At nighttime, you are just a few minutes from the center of the Design District, where you can hit up some of the best restaurants in Miami. You’ll have this entire $150-a-night apartment, steps from the beach all to yourself. 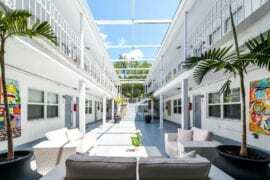 Just 5 minutes from Miami Beach, this is a stylish Miami Airbnb, perfect for your Art Basel trip! The condo site on the edge of Miami’s “North Bay Village” and close to the Bal Harbor area. You’ll feel like you are living at a resort for your stay. You’ll stay in an ultra-comfy bed, enjoy the spacious layout, high end kitchen and so much more. 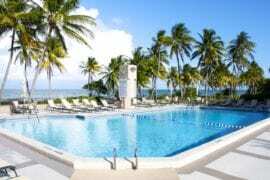 You can enjoy the pool, the luxury gym, walk to rent boats, jet skis, paddleboards and other outdoor activities. The view cannot be beat, the Airbnb’s Miami neighborhood is peaceful, and you can head out and enjoy everything Miami has to offer. 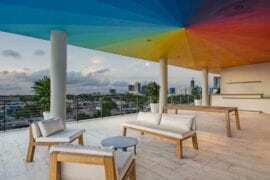 This stylish Miami Airbnb is perfect for your Art Basel trip! If you are traveling as a couple, check out this private guest cottage. You will enter through your private entrance and enjoy complete privacy with a pool all to yourself! The guest home is beautifully renovated, chock full of all the essential amenities, and outside you can enjoy the porch, fire up the grill, push your kids on the swing set, and of course, take a dip in your very own pool. The space provided includes a Queen bed, Twin Pull Out Sofa Bed, & full bathroom. The space is equipped with everything you could possibly want, and located in a convenient area, close to downtown Miami! $75 a night seems almost not enough for this jazzy little spot. In the heart of South Beach lies this luxury beachfront studio within the famous Congress Hotel. If breathtaking views, crashing waves and sandy shorelines appeal to you, this is the perfect Airbnb for your Art Basel vacation. Located on world famous Ocean Drive, your modern suite offers a gorgeous bedroom, stainless steel kitchen, bathroom with spa tub and rainfall shower. Enjoy sunrise and breathtaking sunsets from your private balcony with beautiful views of the water. 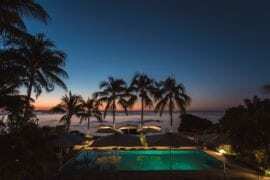 Plus, the rooftop pool with panoramic ocean views is unbeatable. 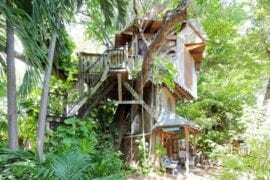 This Airbnb Miami South Beach vacation rental knocks it out of the park. $120 a night for all this ain’t bad! 1. Experience Miami like a celebrity, from a breathtaking yacht! 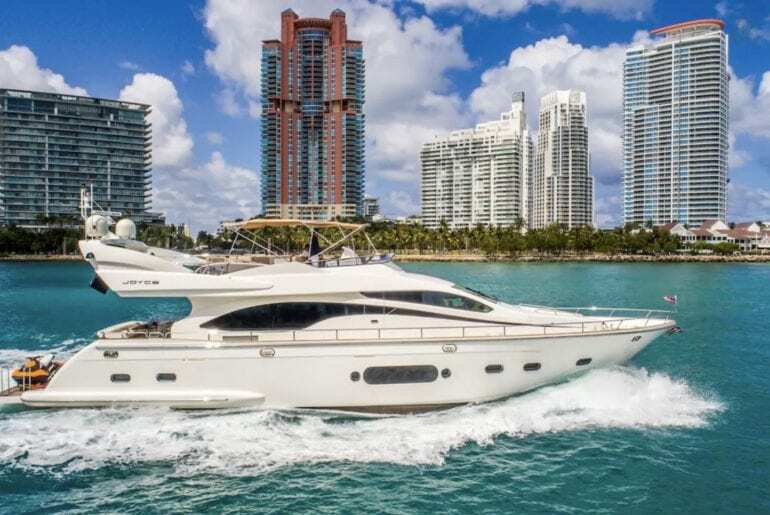 If hotels aren’t cutting it, and you are looking for something completely different, something to really write home about, for $1,900/night, you can stay on this breathtaking 84’ yacht You can enjoy Miami from a very different vantage point, in this stunning yacht! This boat can sleep 8 guests; it boasts 4 bedrooms, 5 beds, 4 baths. The yacht has a modern design and is decorated gorgeously. You can order dinner and drinks, blast tunes or watch movies inside. If you want to cruise and see the sights Miami has to offer, or anchor at Star Island, add 2 hours on the water for a mere $2400. See Other Vacation Rentals, Check out Real-time Deals and Experiences at The Local Vibe! Visit us at www.thelocalvibe.com to discover special events happening in your area, receive updates about what is going on in your local community, and stay up to date on unscheduled, last-minute deals and spur-of-the-moment specials on everything from activities, shopping experiences, special events, food and drink specials, and more!